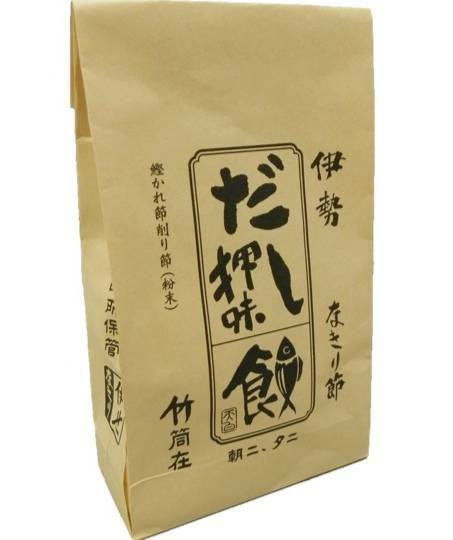 This is a very ingenious set consisting of a powder dispenser and 50g Dashi powder bag. 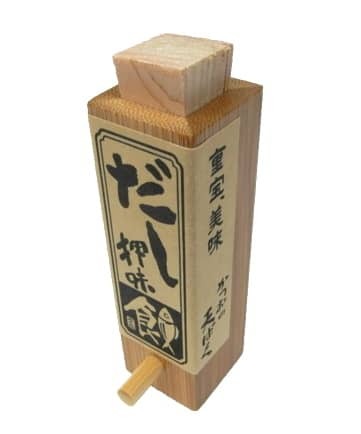 The dispenser is made of wood and is varnished to avoid stains. It has two openings: a square one of the top used to fill the dispenser and a smaller round one on the front use to sprinkle a right amount of powder. 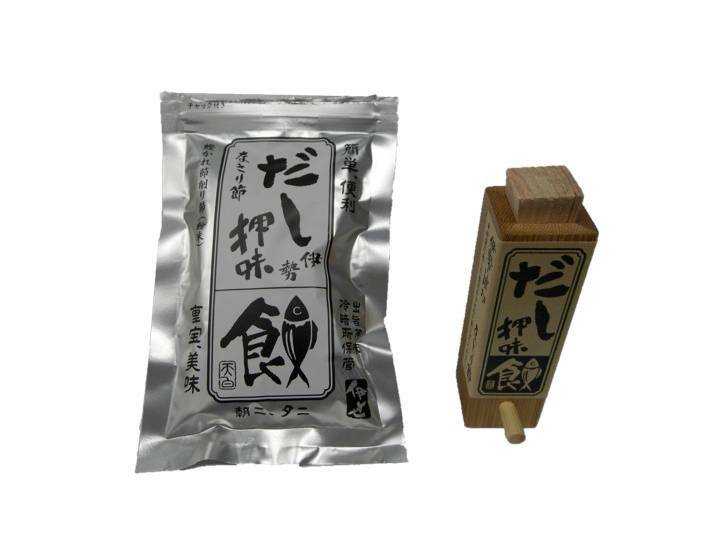 This is a very ingenious set consisting of a powder dispenser and 50g Dashi powder bag. The dispenser is made of wood and is varnished to avoid stains. It has two openings: a square one of the top used to fill the dispenser and a smaller round one on the front use to sprinkle a right amount of powder.